Diagnosis of tooth root fractures can be difficult with periapical radiographs, the most commonly used diagnostic tool. 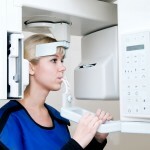 In recent years, the use of Cone Beam Computed Tomography (CBCT) for a range of dental diagnostic challenges has been investigated. The aim of this review was to evaluate whether CBCT is reliable for the detection of root fractures in teeth without root fillings, and whether the voxel size has an impact on diagnostic accuracy. Searches were conducted in the PubMed, Web of Science, Science- Direct, Cochrane library, Embase, Scopus, CNKI and Wanfang databases. Two reviewers independently selected studies, extracted data and assessed study quality. The QUADAS-2 (Quality Assessment of Studies of Diagnostic Accuracy-2) tool was used for quality assessment. In vitro or in vivo studies assessing the use of CBCT for root fracture were considered. Only the studies performed using i-CAT and/or 3D Accuitomo CBCT units with data relating to non-endodontically treated teeth and valid information on voxel size were included. Pooled sensitivity (SEN), pooled specificity (SPE), pooled positive likelihood ratio (+LR) and pooled negative likelihood ratio (-LR) were calculated using a random effects model. There were 5 voxel size subgroups in the i-CAT group and 2 in the Accuitomo group. In the i-CAT group, there was a significant difference among the five subgroups (0.125 mm, 0.2 mm, 0.25 mm, 0.3 mm, 0.4 mm; p=0.000). Pairwise comparison revealed that 0.125 mm voxel subgroup was significantly different from those of 0.2 mm, 0.25 mm and 0.3 mm voxel subgroups, but not from the 0.4 mm voxel subgroup. There was no significant difference between 0.08 mm and 0.125 mm voxel subgroups for the 3D Accuitomo group. The present review confirmed that CBCT images are accurate for the detection of root fractures in non-endodontically treated teeth. The diagnostic accuracy of root fractures in root filled teeth or teeth with posts still needs further investigation. Voxel size does not impact on the diagnostic accuracy of root fracture in non-root filled teeth. As noted by the authors a +LR > 10 is considered a useful threshold for a given test being able to diagnose the disease and a –LR of < 0.1 useful for the exclusion of a disease. Consequently, they suggest that these two CBCT units provide reliable diagnosis of root fractures. However, it should be noted that the meta-analysis contain both in vivo and in vitro studies and the number of each type are not specified. Also the number of studies is quite small and there is a spectrum bias with almost 50% of the examined teeth having a fracture. 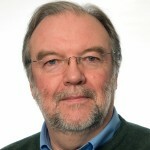 As the radiation dose associated with CBCT is higher than conventional radiographs whether the diagnostic use of CBCT improves clinical outcomes for the patient is also an important consideration. Ma RH, Ge ZP, Li G. Detection accuracy of root fractures in cone-beam computed tomography images: a systematic review and meta-analysis. Int Endod J. 2015 Jun 23. doi: 10.1111/iej.12490. [Epub ahead of print] PubMed PMID: 26102215. Vertical root fracture diagnosis with CBCT?